Indeterminate. Regular leaf. 80 days. Another glorious variety bred by the master, Tom Wagner. 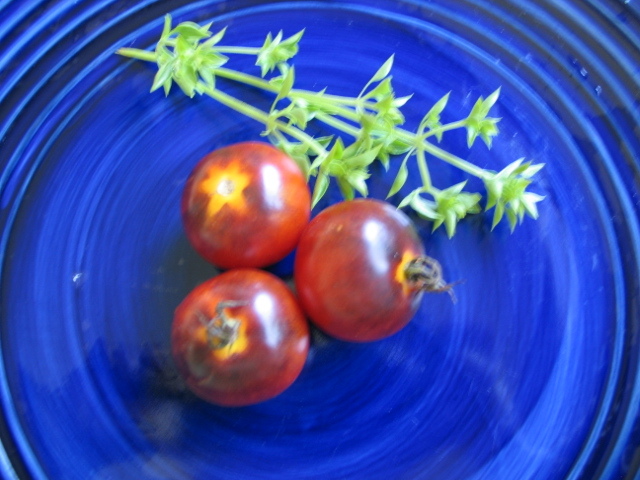 Tasty, tart, 3-5 ounce saladettes are deep garnet with heavy, deep purple shoulders. A curious and pretty, deep yellow and orange star decorates the stem!